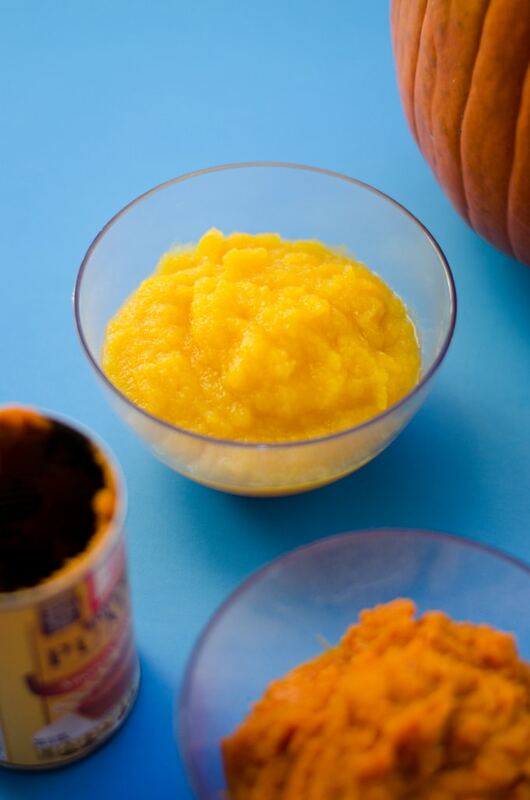 You can make pumpkin puree at home and it’s so simple! And the best part? You know exactly what you’re getting…pure delicious pumpkin. 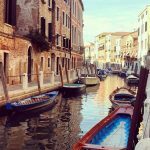 I got out of Texas this weekend! Destination: Fort Collins, Colorado. It was nature-y and small town-y and autumn-y and everything Texas is not and I loved it. But best of all, it set me into autumn high-gear, and now all I want is for my house to perpetually smell like pumpkin pie and for there to be a cozy pumpkin soup waiting for me in my crockpot every night when I get home. Is that too much to ask? No, no it is not. Because the common denominator for a lot of these pumpkin recipes is pumpkin puree, which just happens to be the easiest thing ever to make at home. But first…can you guess which of these is homemade and which is from a can? The yellow-er one is homemade! Although the canned pumpkin claims to be 100% pumpkin, there is some trickery involved. The USDA is fairly lax in what they consider a “pumpkin”, broadening the spectrum from the classic orange pumpkin to include many varieties of winter squash, like butternut squash. 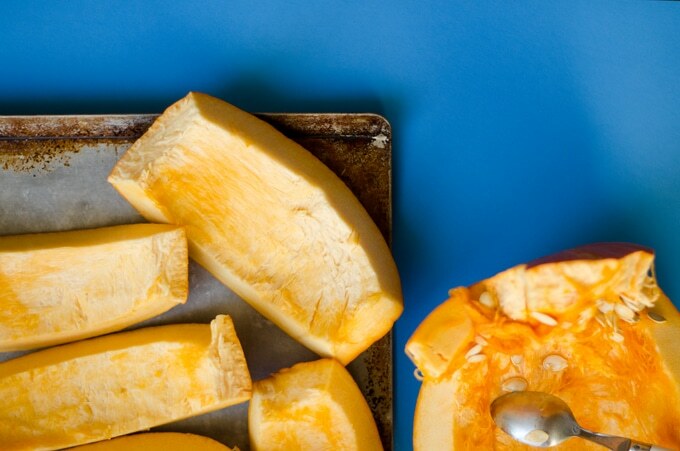 These other varieties of squash add the orange color and sweeter flavor that we’ve come to know and love in pumpkin puree. 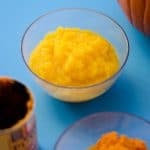 So while it’s not like canned pumpkin is loaded with artificial dyes or anything, there is certainly more than meets the eye. Check out this article for more about what’s in canned pumpkin. But back to how to make pumpkin puree. You’ll need a pumpkin. As with a lot of other squash, the smaller the sweeter (though I used a pretty big pumpkin and it tasted just fine). 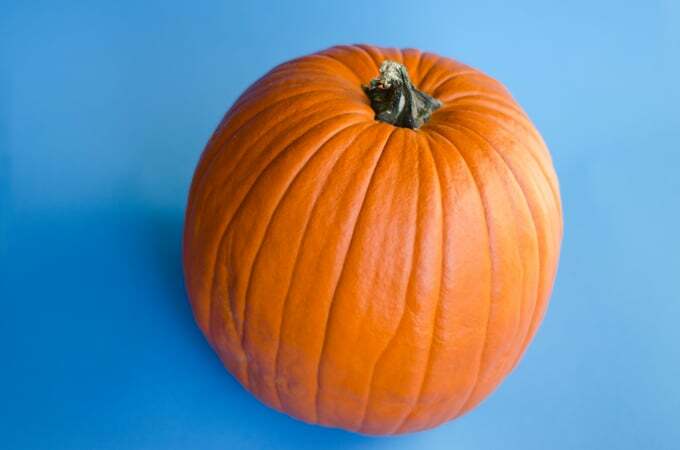 If you’re using a small pumpkin, chop off the top then chop it in half. If you’ve got a big-un, cut out a hexagon of sorts around the stem then cut 4 inch-ish wide pieces down along the natural grooves of the pumpkin. Whichever method you go, remove the seeds (save them for roasting! ), and gently scrape the gunk away from the inside with a spoon. 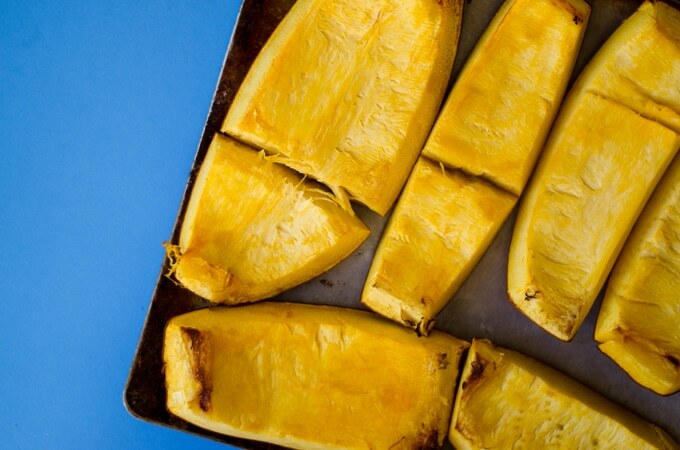 Place your pumpkin pieces facedown on a baking sheet and bake at 350 degrees F (175 C) for 1 to 2 hours, or until the inside is easily pierced with a fork. Once it reaches that perfect tenderness, take it out, let it cool enough to touch, either peel or cut off the skin, and chop it into chunks. Okay, I didn’t place them facedown at first. But you should. The steam trapped underneath makes it much mo’ bettah. 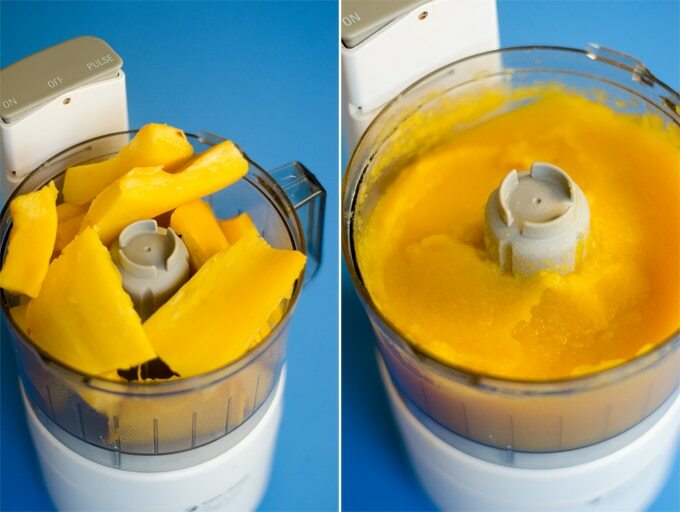 Throw those chunks into a food processor or blender or just mash them by hand, whatever gets the job done. If you need to add water to reach the right consistency, add a tablespoon at a time. And that’s about it! 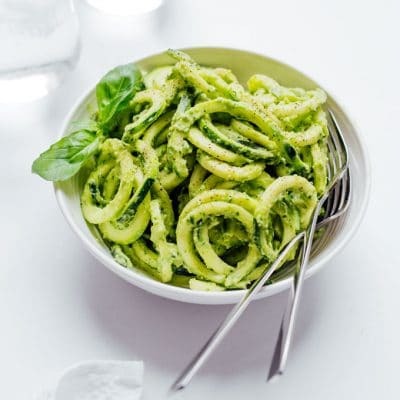 Either store it in the fridge for a few days or freeze 1 cup portions in baggies until you’re ready to use it. 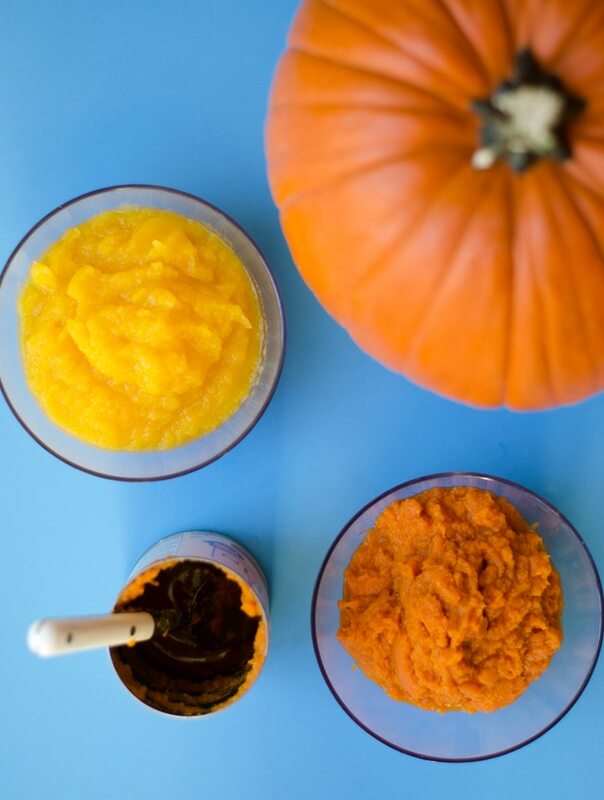 You can make your own pumpkin puree at home and it's so simple! And the best part? You know exactly what you're getting...pure delicious pumpkin. 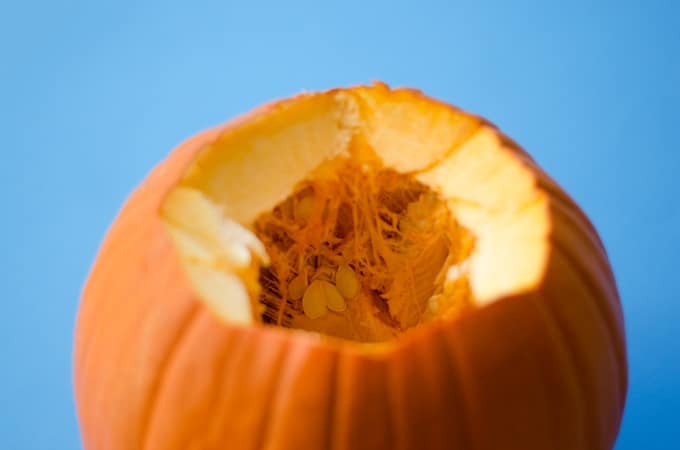 For small pumpkins, chop off top, cut in half, and remove seeds. 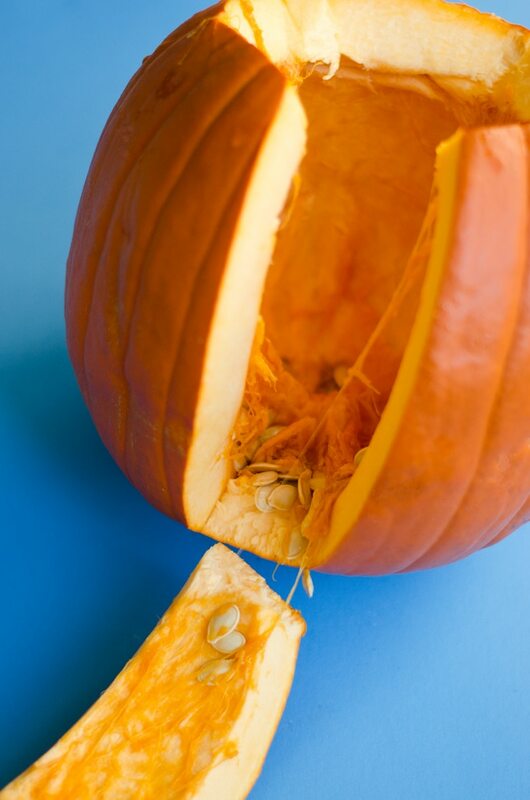 For larger pumpkins, cut around stem, remove seeds, and cut 4 inch-ish wide pieces down along the natural grooves. Gently scrape the inside with a spoon to remove the stringy gunk. Place pieces facedown on a baking sheet. Bake at 350 degrees F (175 C) for 1 to 2 hours, or until inside is easily pierced with a fork. Allow pumpkin to cool enough to touch. Either peel or cut off skin, and chop pieces into chunks. Puree pumpkin chunks in a food processor, blender, or mash by hand, adding water 1 tablespoon at a time if needed to reach desired consistency. 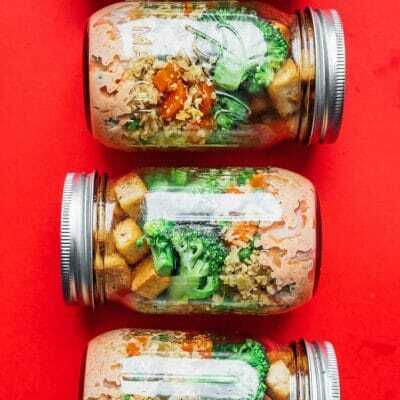 Store in an airtight container in the fridge for a few days or in 1 cup portions in the freezer until you’re ready to use it.